To help visionary business owners do amazing things. 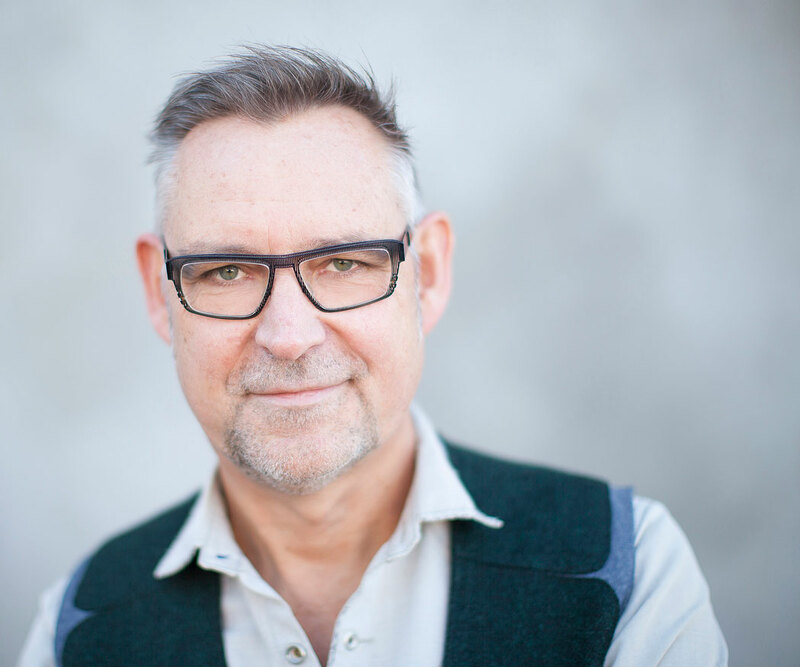 “ Plan2Brand is founded on the idea of helping visionary business owners and entrepreneurs do amazing things in the World by showing them how to build their brands in a strategic way. Our idea actually started with a problem. For us it was simple – many of our clients were unable to clearly articulate what their brand represented, how they were different from competitors and what was it that made them stand apart. Working with small to medium-sized businesses, we kept hearing the same thing where they regarded their tactics as being their strategy. The onus of increasing or maintaining customers rested squarely on our recommended tactical approach and creative design thereof. It was difficult to explain how taking a step back, to review their brand and work on their strategy (not tactics) first, was a worthwhile exercise for the long-term success they wanted. We had a plethora of information but nothing wrapped up in a simple framework they could easily understand. As a small business ourselves, we understand the challenges to convince people to buy from you when they now have so many choices and little time. 44% is due to poor strategic management where owners get caught up in the day-to-day running and pay little attention to long-term planning. There is a fundamental step that most small to medium businesses miss out or do ad-hoc, whereas leading brands don’t. These Goliath’s are successful by their very nature because they value research and the ability to strategise in their markets and industries. They plan, develop and gain competitive advantage because that takes precedence over any logo, advert or website creation. It’s easy to forget they started out small once, but they did. With our insights, unique perspective, and driven by our Purpose, we set out to see what we could do to stop small businesses failing and start prospering more sustainably. How do we distill the most fundamental strategic components these Goliath’s use as the building blocks for their brands? How do we put them in an affordable, easy to understand framework that can reach as many businesses as possible? How do we deliver simplicity amongst the complexity and numeracy of online brand and marketing advice? How do we support and provide guidance to business owners as they work on their Brand Strategy? In 2014 our journey began with research where we looked for the components that all successful brands throughout history have in common. We found a few variations but similar threads began to appear. Next we developed a framework to test in live workshops which we kept refining and testing again. The response from attendees was overwhelmingly positive, so we knew we were on the right track. 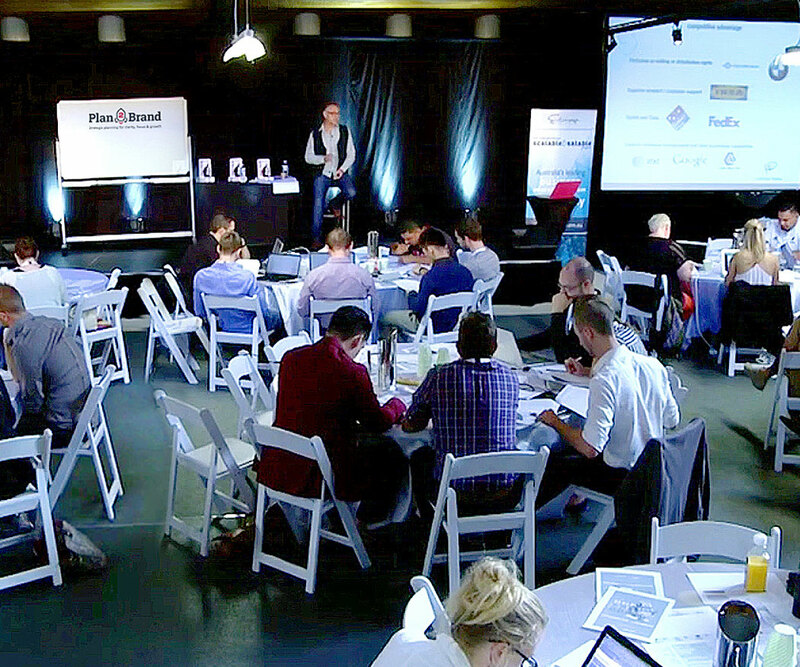 1000+ workshop attendees and three years later, Plan2Brand is an online interactive eTool. A step-by-step supportive framework build the inter-related strategic components in an updateable, printable and shareable Brand Strategy Roadmap. Others things we are doing in tandem are a podcast series where people collaborate, discuss and debate what they’ve heard through Facebook Live Events. Eventually a book is in the pipeline to include all this gathered branding advice and wisdom. Sale profits are going to KIVA, an international not-for-profit organisation that connects people through lending to alleviate poverty. Our focus is to help as many amazing business owners do amazing things and to help the David’s of this world to get a leg up on the Goliath’s by bringing Plan2Brand to Australian and international audiences. 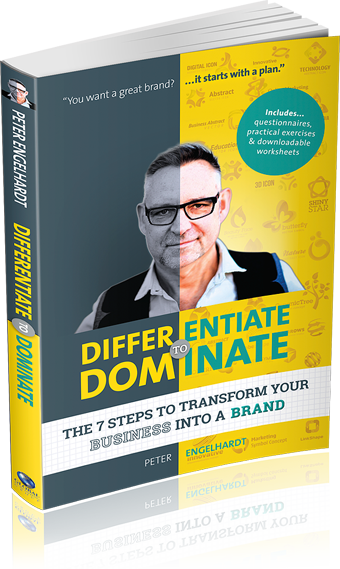 Find out how to build a clear and focused brand strategy from my book Differentiate to Dominate – the 7 steps to transform your business into a brand. Plan2Brand developed by Strategic Marketing & Design company Creative Brewcreativebrew.com.au© 2019 Creative Brew all rights reserved.